I want to talk today about inner strength. We don't talk about it enough out in the open, especially during times when we feel weak. Often I see strength being talked about in measures of physical or in numbers. But the true essence of strength comes from within. Some of us tap into that easier than others but I've realized this... finding your inner strength comes repetition. How many times do you fall? 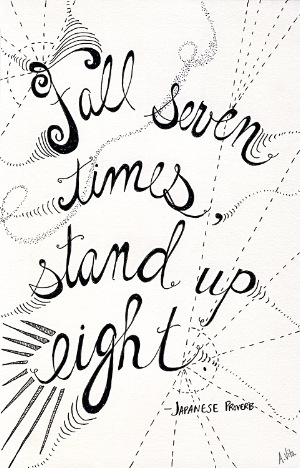 How many times do you bounce back? And how do you do you choose to do it? This is something really important to meditate on this week. We are still in a Mercury Retrograde, Pluto is still giving off it's strong energy, Mars is giving us strong enthusiasm to solve problems today; while the Last Quarter Moon is in Cancer today leaving us feeling like there's a strong need for a moment of truth in consciousness. Last week's Full Moon Lunar Eclipse has us weighing what works or doesn't work in our lives. So, next week's New Moon, will be calling us to be prepared for what we've decided on because we will feel a sense of renewal. There's so much planetary energy going on right now. It can all feel a bit intense and it may leave you wanting to hide under the covers if something isn't working out. But keep at it. Finish up any loose projects, tend to yourself and draw from your own strength and resilience.